Heavy to very heavy rainfall is likely in South Tamil Nadu as low moves over Gulf of Mannar. The well marked low pressure area over Sri Lanka has moved into Gulf of Mannar. Under the influence of this synoptic situation heavy to very heavy rainfall likely over south coastal Tamil Nadu. Delta districts of Tamil Nadu can also witness Moderate to heavy Isolated spells of rain. 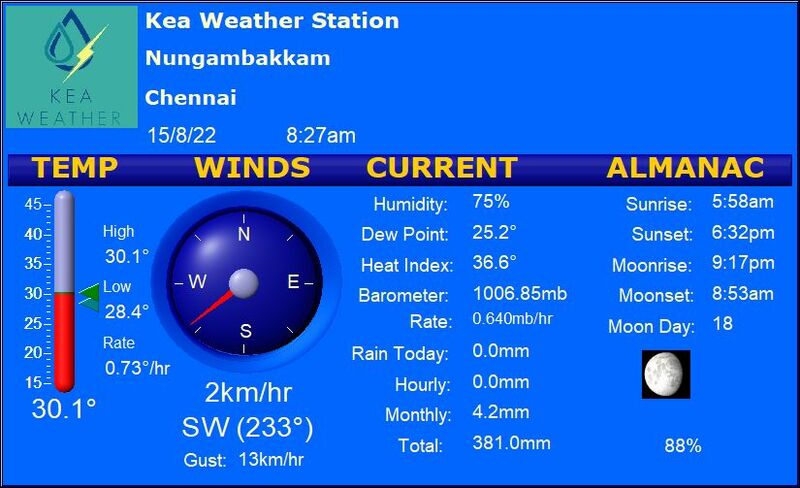 Chennai city will witness partly cloudy skies with possibility of light rain in early morning. The well marked low pressure will further move into Comorin sea during next 48hrs and gradually weaken down. Also a fresh low pressure area will form over Andaman sea around 9th November. Its further development will be continuously monitored.